Félicien Goguey & Benjamin Bartholet, 2013. At Jupiter, Dave Bowman leaves Discovery One to investigate another gigantic black monolith in orbit around the gas giant. Approaching it, he finds himself racing at high speed in a colorful, psychedelic, strange and… cubic tunnel. 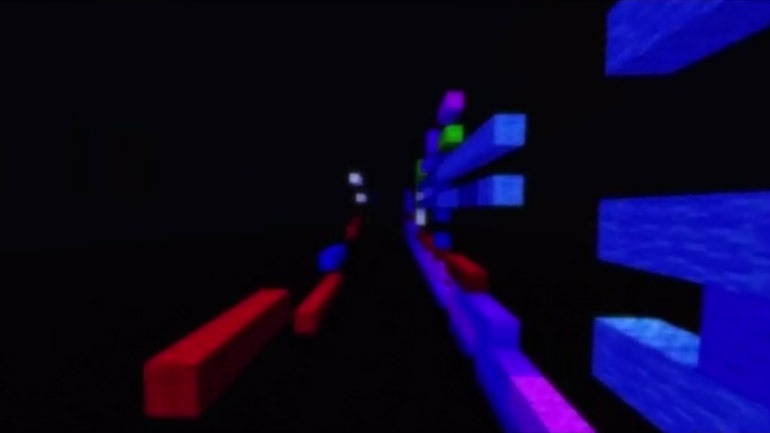 Like the Monolith – excluding any curve, Jupiter and Beyond the Blocks is a machinima-remake of the mythic scene of Kubrick’s 2001: A Space Odyssey realized with Minecraft.